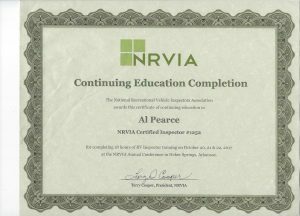 Al Pearce | We provide RV Inspections so you can make an educated RV buying decision. We have contact with other inspectors around the country and can assist you in finding an inspector anywhere in the U.S.A. We are in the Tampa, FL area and can perform RV inspections around the state of Florida. How much does an RV inspection cost – why it is a good idea to get one performed? We will be attending the show this year to learn about the new models and with all the new electronics like tablets being installed in new RVs, we will learn how to operate this units. Part of our ‘continuing education” in the RV industry. We hope to see you there. RV Recalls that go back to 2014-year models. This is the 3rd recall issued this month. Do you ship on Amazon for Christmas gifts?